LaserFocus is the newest and most sophisticated center for refractive surgery in the region, offering patients a unique approach, a palpable sense of security and confidence. We afford access to the latest cutting-edge technology in refractive surgery and ophthalmology in existence today. 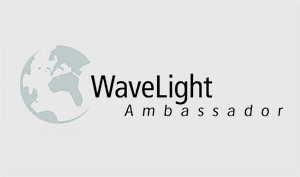 Incorporated with that is our team of experts acclaimed throughout the region and the world. "Million thanks to dear God and my dear doctor who managed to "persuade" me to undergo laser dioptre removal. All compliments for Dr. Sanja and Dr. Jankov..."
"Two days after the surgery have elapsed. I feel perfectly well. My sight improves on a dayly basis and the pictures become ever more clear..."
"I owe Dr. Jankov a great debt of gratitude. Five months ago he performed cataract surgery on one eye, and on the 3rd of September 2009 he carried out the same operation on the other..."
"I'm writing this with a huge smile on my face, elated that my affliction is gone. When I was told upon examination that I had a cataract on my left eye I was scared because I didn't know what to do; it was then that my neighbour told me of Dr. Jankov and how she was sure he could end my suffering..."
Dr Mirko Jankov speck about ophthalmology and refractive surgery at the Pink television. 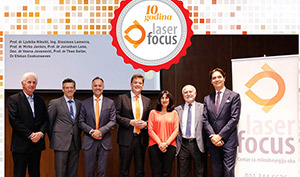 LaserFocus's Newsletter, published quarterly, offers the latest developments in refractive surgery, responses to a legion of questions and a full insight into our efforts.